~CLEVELAND (July 22, 2016) – Great Lakes Science Center has been celebrating the science of sports all summer with its special exhibition Sports Arena, a must-see for any Olympics fan. Now, with the Summer Games just around the corner, the Science Center is getting in on the excitement with its first ever Summer Science Games event on Saturday, August 6! 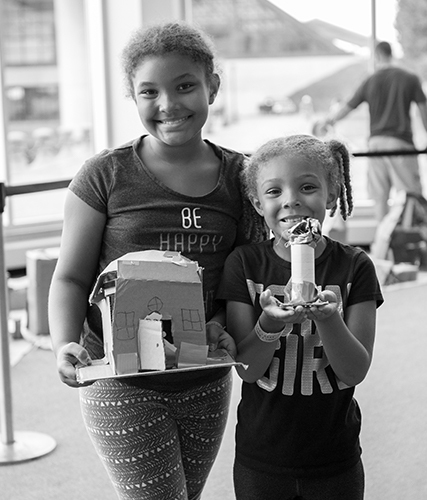 Guests of all ages can take part in nine different hands-on “Summer Science Events,” including Archery and Arrows, Space Corn Hole, Long Jump, Sports in Space, Sack Race, Balance at its Best, Life-Sized “Pac Man,” Illusions and DIY Putt Putt. For each event guests compete in they will receive a stamp on a special score card. At the end of their visit, guests can redeem their score card for a medal! Three events completed earns bronze, six events earns silver, and completing all nine earns gold! For guests that are interested in building their own creations, Archery and Arrows and DIY Putt Putt will be first on the agenda. Design your own arrow and test it out on the archery range, then create and play on your very own putt putt course! Life-Sized Pac Man and Sports in Space are two exciting events that take traditional activities and put them in new settings. Guests will find themselves in a life-sized version of the popular Pac Man video game using their athletic ability and tactical strategy to get around. At Sports in Space, guests can test their skills in different sports and explore how it would be different to play them in outer space. 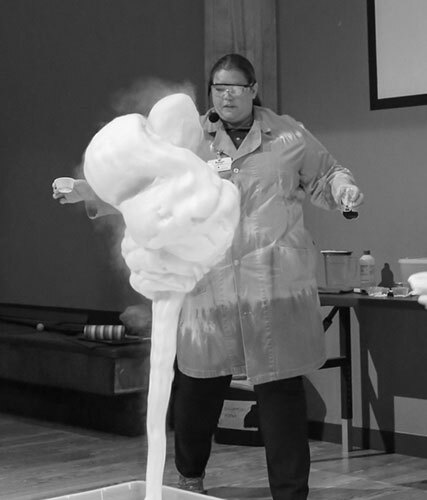 There will also be a special Science of Sports Science Spectacular demonstration at 11:15 a.m. in the Cleveland Creates Zone, examining different wacky ways to get a ball into a basket, and a 1 p.m. demonstration by Five-Star Gymnastics, of Brunswick. All of the Summer Science Games activities are free with paid admission to the Science Center. Sports Arena, also included with general admission, features 16 interactive stations that go beyond the typical hands-on exhibits! This special travelling exhibition is only here through September 5 and includes a “You Be the Judge” station that lets visitors judge an Olympic event, a head to head rowing race challenge, a regulation sized balance beam, a 10-meter dash with starting blocks and more! After the Summer Science Games, stay for an exciting Double Feature movie night in the six-story domed theater! The Double Feature kicks off at 6 p.m. with "Cool Runnings" (PG), an action comedy about the Jamaican bobsled team from the 1988 Winter Olympics. After a brief intermission, movie night continues at 8 p.m. with "Prefontaine" (PG-13), the inspirational story of American distance runner Steve Prefontaine and his incredible journey to the 1972 Summer Olympics. Admission to the Double Feature includes both films and is $15 for adults ($13 for members) and $13 for children ($9 for members).Concessions will be available and tickets can be purchased at Eventbrite.com or by calling 216-621-2400 (members call 216-696-4576). 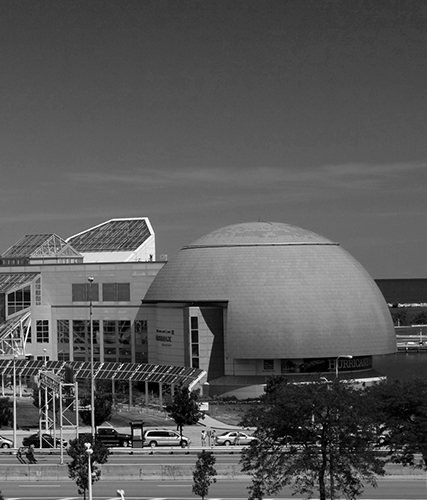 Great Lakes Science Center, home of the NASA Glenn Visitor Center, makes science, technology, engineering and math (STEM) come alive for more than 300,000 visitors a year through hundreds of hands-on exhibits, traveling exhibitions, OMNIMAX® Theater, Steamship William G. Mather, daily science demonstrations, seasonal camps, family workshops and more. The Science Center is funded in part by the citizens of Cuyahoga County through Cuyahoga Arts and Culture. Visit GreatScience.com for more information.